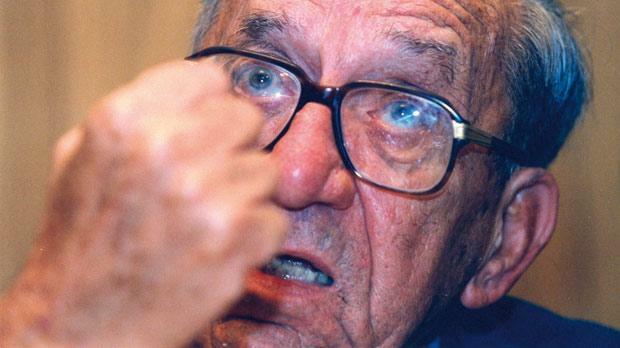 One of Malta’s most influential and controversial politicians, Dom Mintoff, died yesterday evening, aged 96. The former Prime Minister and Labour leader passed away “peacefully” at his home in Tarxien shortly after 8 p.m., surrounded by family. He was released from hospital earlier this month after emerging from the latest of several serious health crises he has suffered in recent years. Malta’s longest serving politician, Mr Mintoff sat in the House of Representatives between 1947 and 1998 and remained at the heart of Maltese politics right up to 2003, when he campaigned fiercely against Malta joining the EU. Il-Perit, as he was known, will be remembered for social reforms and engineering the welfare state – as Prime Minister between 1955-58 and between 1971 and 1984. But many will also recall his domineering style of leadership during which political violence was a regular occurrence. News of his death was followed by a flow of sympathy messages from his supporters but several critics conditioned their condolences, saying they could “never forget”. Last night, Prime Minister Lawrence Gonzi said Mr Mintoff had been a leading personality in the post-war years up to the end of the 20th century, whose great work, commitment and determination led to developments and profound changes which marked Malta and Gozo. Dr Gonzi also said the Mintoff family had accepted his offer to hold a state funeral. Dr Muscat said he was satisfied the party had mended bridges with him and supporters could now grieve him “without shame”. In spite of the controversial nature of his persona, Dr Muscat said, supporters and detractors “will agree that Malta would not be where it is today without him”.